Datuk Seri Dr. Ng Yen Yen (Chinese: 黄燕燕) will visit South Korea on Oct. 11-14, 2010. During her first visit to Korea she will attend "Malaysia Tourism Presentation" to be held at Lotte Hotel at 11 a.m. through 1 p.m. on Oct. 11, 2010. The minister will introduce to the local media how Malaysia's tourism industry has developed. She will also explain to the audience "Malaysia My Second Home (MM2H)" program as well as other tour programs during the presentation. The Malaysian tourism minister will also visit Buyeo, South Chungcheong Province, to participate in the second "T20 Ministers' Meeting," a discussion forum for tourism ministers from G20 member countries. "T20 Ministers' Meeting" will be held in Buyeo from October 11 to 13, 2010. Datuk Seri Dr. Ng Yen Yen is a Malaysian politician, currently is vice president of Malaysian Chinese Association (MCA). 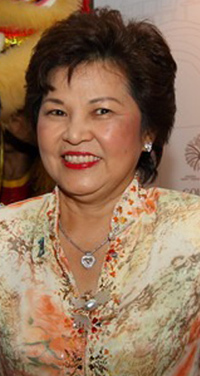 Dr. Ng became the first Malaysian Chinese woman to hold a cabinet position when she was appointed tourism minister on April 9, 2009. Dr. Ng graduated from University of Malaya in 1972 with a bachelor of medicine. She also attended the Johns Hopkins University in America. For details or inquiries contact Malaysia's Tourism Office in Seoul at 779-4422.